I am researching a book about life in a small Massachusetts Town and the current hysteria over the ” Blizzard of 2015″ caused me to want to share this passage from the 1700s near Boylston, Massachusetts. On the twenty-fourth day of the month came another storm, which buried the memory of the former. This storm came on a Sunday and no religious assemblies were held throughout the country. 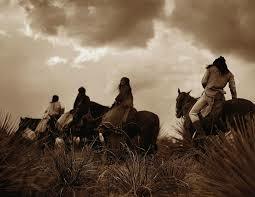 Indians there nearly 100 years old, affirmed that their fathers had never told them of any stories that equaled it. Vast numbers of a cattle, sheep, and swine perished; some of them were found standing at the bottom of snowdrifts weeks after the storm. One farmer who lost above 1100 sheep found two of them still alive twenty-eight days after the storm at the bottom of a snow bank sixteen feet high having sustained themselves by eating the wool of their dead companions. Hogs were found alive after twenty-seven days burial, hens after seven days, and turkeys after twenty-five days, in positions where they were utterly unable to obtain any food. Great damage was done to the orchards; the snow freezing to a crust as high as the branches broke and split them, and the cattle walking upon the crust greatly damaged them by browsing. Houses were completely covered with snow, not even the tops of chimneys being seen.” (Boylston Historical Society: Historical Phenomena from the Papers of George L. Wright, Transcribed by Amy Gilgis. 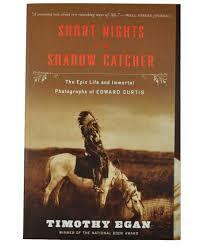 Author Timothy Egan in his book Short Nights of the Shadow Catcher crafts a splendid and enjoyable biography of world-renowned American Indian anthropologist, photographer and chronicler Edward Curtis. At the Little Big Horn battlefield and only after extensively interviewing Sioux who were present that day, Edward Curtis uncovers a very different story of what actually happened at Custer’s Last Stand. ” Let them fight, there will be plenty of fighting left for us to do.” George Armstrong Custer as told to Curtis by Crow Scout White Man Runs Him overlooking the battlefield where General Marcus’s troops were slaughtered. The reader will meet those who inspired Curtis to pursue his dream including Teddy Roosevelt, Gifford Pinchot, J.P. Morgan, George Bird Grinnell , Chief Joseph and Geronimo. 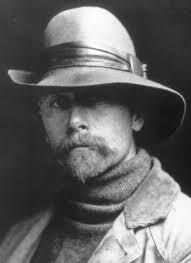 Egan’s portrait of Curtis is explicit in that it would be impossible to find another American who sacrificed to the extent of Edward Curtis to pursue the documentation and preservation of the vanishing way of life of the first Americans. More than a biography, Short Nights of the Shadow Catcher shares with the reader Curtis’s depth of knowledge and understanding of the widely different cultures, rituals, and beliefs of the various American Indian tribes. It is also a wonderfully crafted story of how the creative work of those who possess incomparable talent and vision are often lost in their own time only to attain rightful acclaim by future generations. I commend Short Nights Of The Shadow Catcher to all who have interest in poignant literature surrounding our first Americans. Other books I have posted on gordonsgoodreads by Timothy Egan include The Worst Hard Time and The Big Burn. Utilize the search tab found here.